Storybooks for Students and a Chapter Book for Grown-Ups! - HAPPINESS IS WATERMELON SHAPED! Storybooks for Students and a Chapter Book for Grown-Ups! There is a whole series of Irving and Muktuk adventures. In this book, Irving and Muktuk, who are 2 polar bears living in the local zoo, decide to escape so they can go visiting. 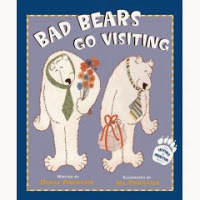 This book was great for making predictions. Plus, it was funny and engaging. was in our MCAS (state testing) a few years back. I find it's fun to read the book earlier in the year, so when we're doing the practice test, the kids are so excited when they realize that we've read the book already. 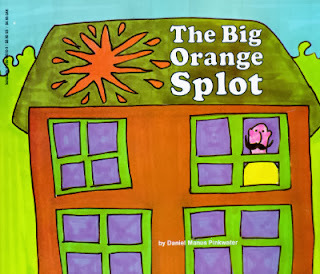 This is one of the latest Daniel Pinkwater books. I haven't read it yet, but I'll be ordering it through the interlibrary loan. 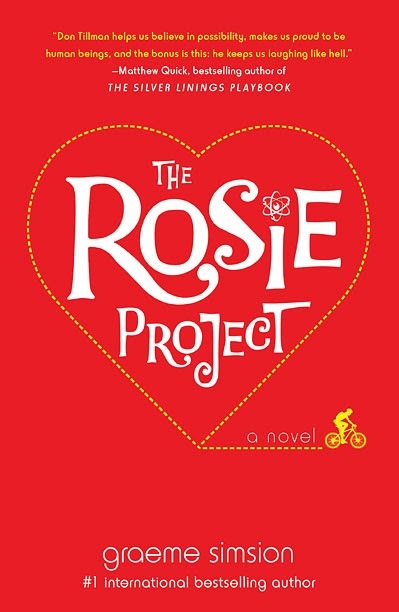 The Rosie Project by Graeme Simsion (from Australia) is a chapter book for grown-ups. 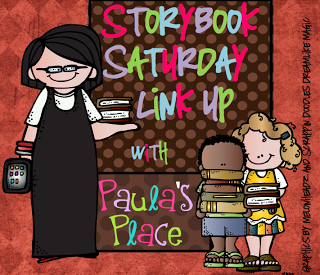 I actually heard about it from Paula - the one and only person who started the Storybook Link-Up. This is a brand new book here in the USA, and I was the first person to take it out from my library. 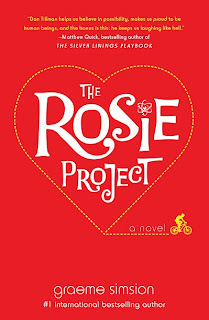 This book is about Don, a college professor who is totally brilliant but is lacking in social skills. He's looking for a wife and creates this long questionnaire that eliminates pretty much everyone. 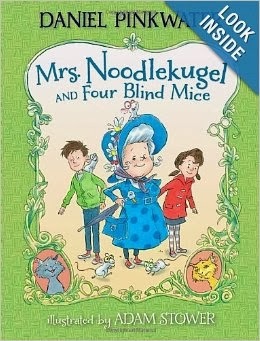 This book is so funny that it has made me laugh out loud several times, and I don't laugh easily when I'm reading. If you're looking for an insightful and fun book, you should add this book to your list. Enjoy these fun and funny books! I absolutely LOVE The Big Orange Splot!